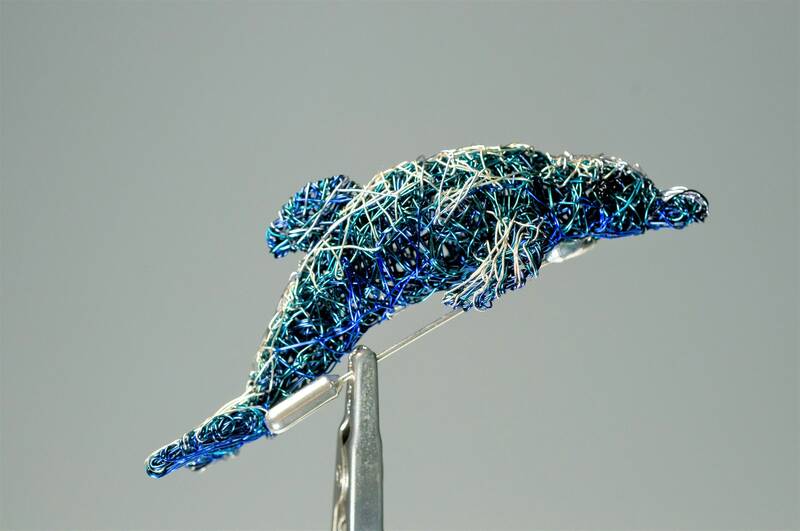 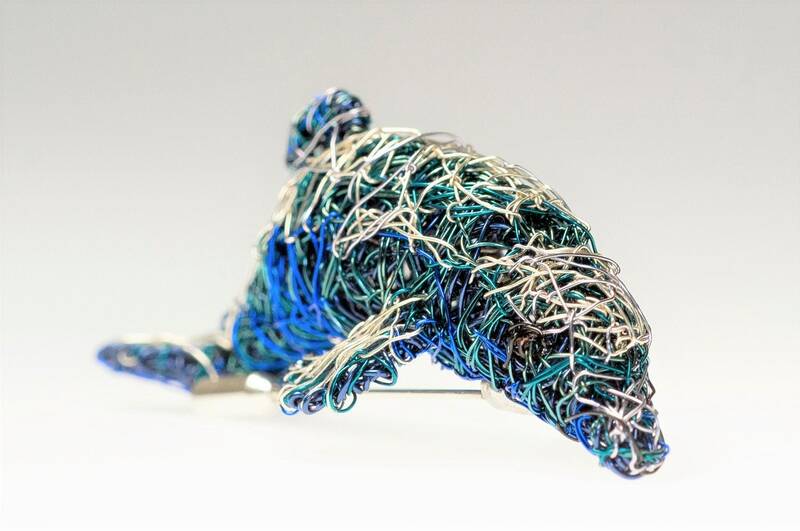 Dolphin pin large brooch, wire art sculpture, handmade of colored copper wire and solid silver. 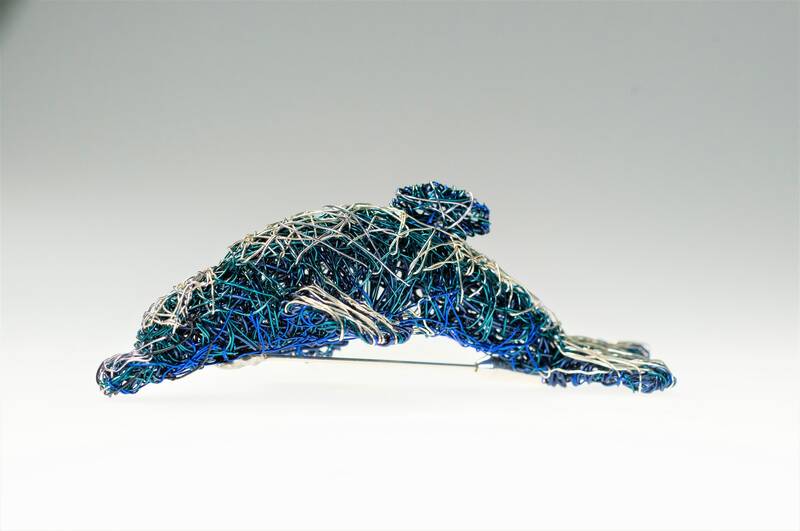 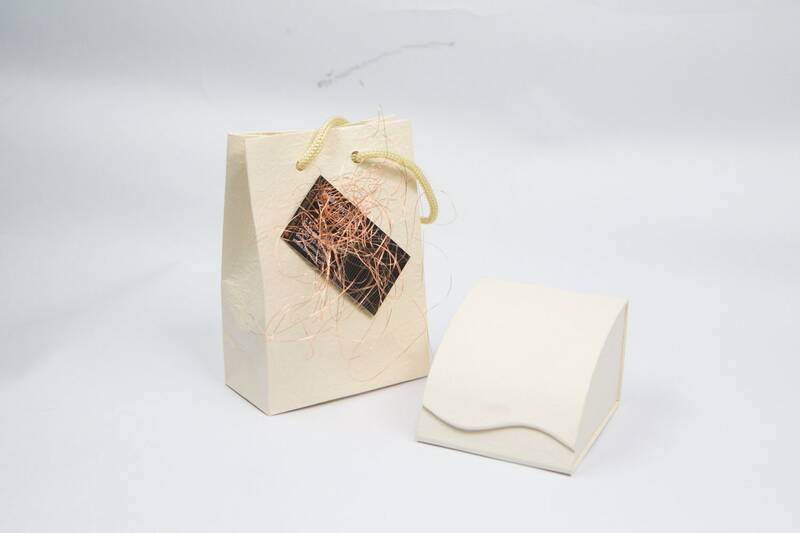 The height of the wearable art is 8.5 cm (3.35in) and the width 3cm (1.18in). 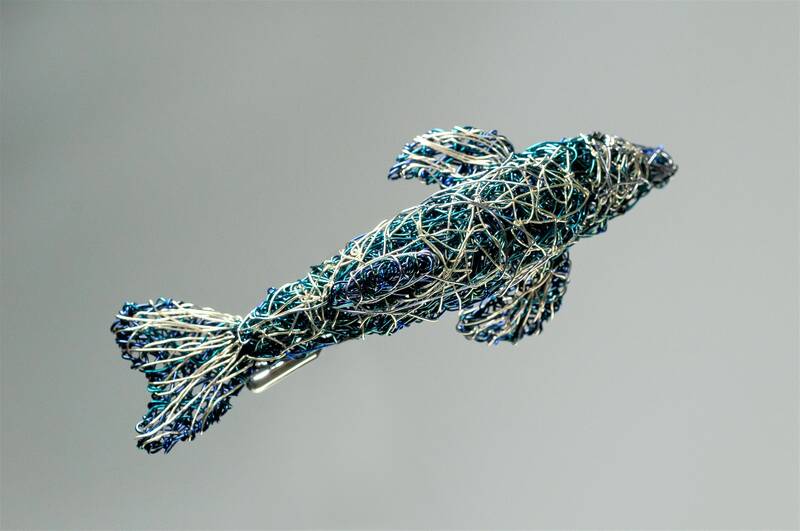 Clip from which standing the boho, unique art teacher gift, is solid silver. 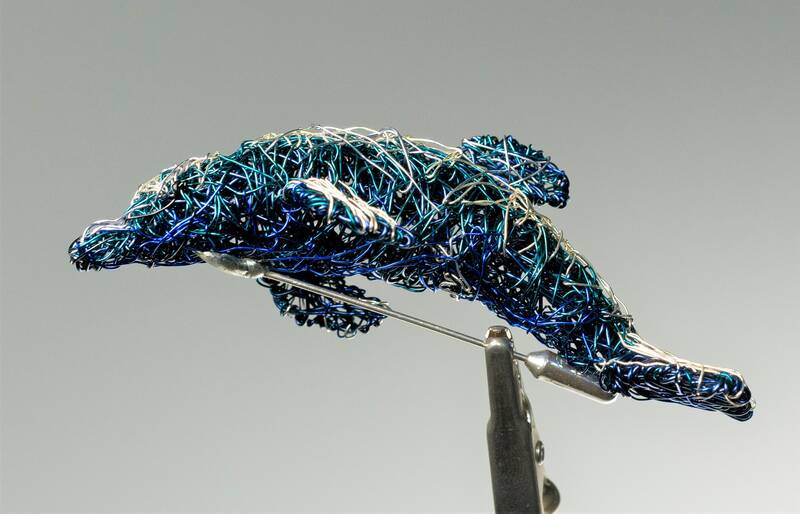 One of the kinds of unique sculpture gift art! 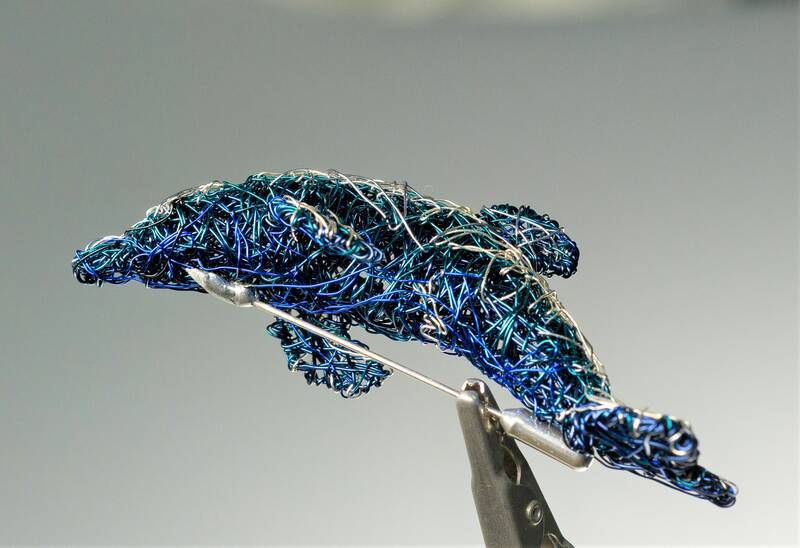 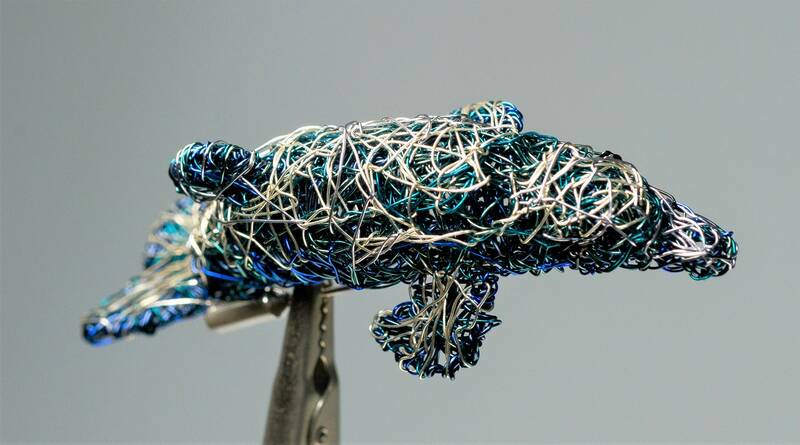 This dolphin is a brooch for her but also an art sculpture object for everyone!